As loving pet owners, we have many responsibilities. From feeding our animals the correct diet to ensuring they get enough exercise, keeping our pets healthy and happy is our number one priority. One of the best ways you can support your pet’s long-term well-being is by ensuring that they receive adequate protection against preventable diseases with vaccines. Pet vaccinations, much like human vaccinations, can be something of a controversial subject. Some groups of people believe that vaccinations are unnatural, and that our bodies should fight illness and heal itself without the aid of manufactured drugs. The controversy is further fueled by a small percentage of people and animals having adverse reactions to varying types of vaccines. At the same time, this percentile is small, and vaccines are proven to have saved millions of pet lives, and will continue to do so. The diseases that pet vaccines protect against are all extremely serious and contagious. Unfortunately, fears over vaccines have led to a lot of pets being left unprotected. Since many of animal diseases are spread by contact, these unvaccinated pets are not only spreading illnesses, but also putting other animals in the wild at increased risk of becoming sick. Choosing to protect your pet against diseases will help keep him health, active, and happy, and allow him to live his life to the fullest. It will also help prevent the expensive, extensive, and painful treatments that your pet will have to endure, if they are to make a full recovery from preventable diseases. The frequency with which pets are vaccinated has also come under scrutiny with some people believing that it is possible to over-vaccinate your animal. 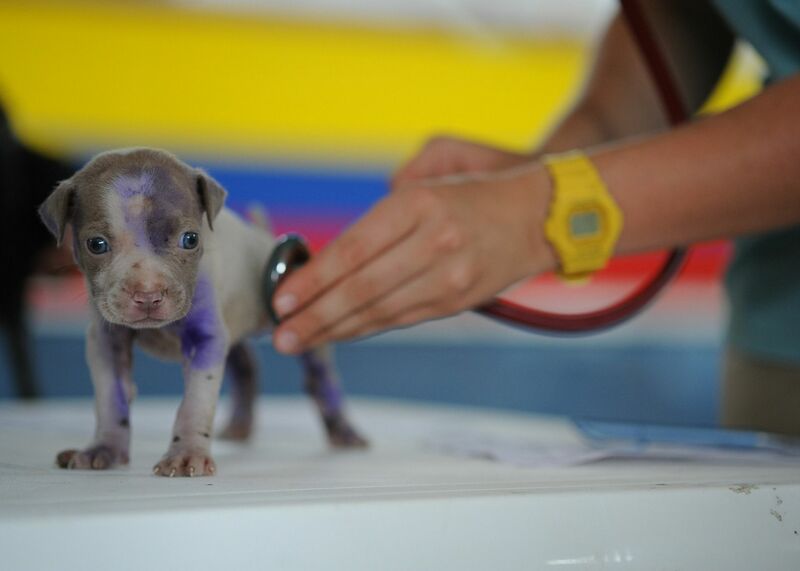 However, any qualified and experienced veterinarian will be able to advise you on a vaccination schedule that is appropriate to the health needs of your specific pet. In the meantime, here are a few important considerations to make regarding pet vaccines. Viruses evolve over time. This means that a previous vaccination may no longer be adequate to protect against a new strain. With that said, we may recommend vaccinations that fall outside of your pet’s usual schedule, if more robust protection is available to combat new varieties of the virus. Some vaccinations last longer than others. As such, your pet may not receive the same vaccines at the same time each year. We will be able to recommend the best schedule of vaccinations to protect the health and well-being of your pet based on when your pet’s requirement. Vaccines will not hurt your pet. Many pet owners are undoubtedly worried about causing their pet pain, but in fact, vaccines are administered so quickly, the worst thing your animal will feel is a little scratch. Most vets will reward your pet for sitting obediently during vaccinations through positive attention or treats. The subject of vaccinations can be a tricky one, but your veterinarian really is your best source of advice on vaccinations. At Chaparral Veterinary Medical Center, we will send you reminders on when your pet’s booster vaccines are due, giving you the support you need to keep your pet healthy and happy for years to come. If your pet has not received vaccinations, or if you are unsure if he has received adequate vaccination protection in the past, schedule an appointment at Chaparral Veterinary Medical Center as soon as possible for an exam at 480-595-8600.